Three types of DUI Chemical Tests are used to attempt to measure BAC (Blood Alcohol Content). They are breath tests, blood tests, and urine tests. Depending on the circumstances of your particular case and the state you are located in. Police may or may not have discretion as to which test they can request you to submit to. Below, you will find brief overview of three different types of chemical tests, and the common problems associated with each. Be sure to check local laws, as this is one area of DUI that greatly varies from state to state. Consult with an experienced attorney in your state, city, or county for more information. Blood tests are the most invasive, but also the most reliable - if administered properly, they can measure the amount of alcohol present in your blood BAC (Blood Alcohol Content). The use of blood tests are the most constitutionally debated type of test. Some states do not allow the police to draw your blood unless you consent. Also if involved in a severe DUI or accident case. Other states, however, do allow the police to obtain a blood sample in any DUI case. This is regardless of its severity, so long as they have probable cause. 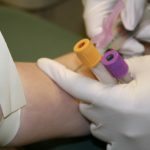 Blood tests can be complex and hard to attack, so if you have submitted to such a test you should consult with an experienced DUI attorney who has a history of fighting blood tests. In some states, your results used against you in court, unless you can successfully negate its admissibility. Problems with the collection of the sample, the chain of custody, or how the blood stored until testing. These are the most common ways to argue against the sample's scientific validity. Breath tests are the most common DUI chemical tests, but also the most problematic. They cannot directly measure the amount of alcohol in your blood. Instead, they try to measure the amount of alcohol on your breath. The results then used to estimate the amount of alcohol that might be in your blood. Most problems with breath tests result of improper sample collection, the human error occurrence, and invalid results on broken machines. Additional factors may affect your breath test (resulting in unreliable and false reading) include regurgitation, radio frequency interference, and acetone. There are two types of breath tests, which you can review further in the article. Most people facing the choice of taking a DUI breathalyzer test are trying to cooperate with the police. They unknowingly trust that the machine will "prove their innocence." Others worried about what the police tell them about their driver's license being suspended for refusal. Are you allowed to consult with a DUI lawyer before you decide to take the test? You may or may not have right to consult with attorney before making decision to submit to test or refuse. The best thing to do may say "Officer, may I speak with attorney," and see what he or she says. Always check individual laws in your state and act only upon the advice of a lawyer whom you have hired. Also the lawyer licensed to practice in the jurisdiction where your DUI is pending. The urine tests are the least common of the three DUI Chemical Tests. The urine test is only usually requested when police suspect impairment by drugs. These tests said to be most unreliable, because of problems that occur with collection of samples and testing procedures. Urine cannot accurately measure a person's BAC as well as a blood test can. Usually it will only be reliable when detecting levels of narcotics or other illegal substances. There are two types of breath tests that exist, and depending on which state you are located, you may or may not exposed to both. They are Preliminary Breath Test (PBT) which are administered using a handheld breath testing device, and Evidentiary Breath Test (EBT), which is the more common type of test and the one more likely to be admissible against you in DUI court. The Preliminary Breath Test (PBT) is a handheld model used in the field (as distinguished from the larger Evidentiary Breath Test (EBT) models such as the Intoxilyzers covered below). They typically have an LCD readout, and lack the ability to print the result. In most states the PBT is generally not admissible into evidence in court. This means that the prosecutor and police can not use the results against a person accused of DUI in trial. Furthermore, in the states that prohibit its admissibility, a suspect usually has an absolute ability to refuse to submit to this test and it can not legally be held against them. Why is the preliminary breath test used in DUI investigations? The preliminary (sometimes referred to as the portable breath test) is a tool used by law enforcement to establish probable cause to arrest a person, and also to give the officer a ballpark estimate of what an Evidentiary Breath Test (EBT) or blood test might produce. If you pass all of the field sobriety tests and blow above or close to the legal limit on the PBT, the officer will likely arrest you despite your good performance on the field tests. The officer can then rely on the results of this test to convince a judge in your driving under influence or administrative review hearing that your arrest was legal. Another recent use for the PBT has been in impounding vehicles. Some jurisdictions have DUI impound laws where the police in extreme cases will take almost exclusively blood tests, but can detain vehicles of suspects over a certain BAC (Blood Alcohol Content) amount. An officer can justify impounding your vehicle if he has obtained a reading of your BAC level on the scene. On the other hand, if you politely refuse to take this test then there may not be not enough evidence to sustain a decision to impound. This is a question addressed to a local attorney, because the advice may vary from state to state. As a starting point, however, these machines are inaccurate. If you blow into the PBT it could make the difference between you being arrested or not. On the other hand, the officer will probably arrest you if you refuse. Nevertheless, some DUI lawyers think the better course of action is to politely refuse and let a blood test or Evidentiary Breath Test (EBT) to sort it out. See below discussion of the right to an independent test. PBTs are good party entertainment, and they are very useful in determining if there is alcohol in a persons system. However, they are not good at predicting a specific alcohol level, and they are not designed to detect impairment. The most common EBTs are the Intoxilyzer 300 and the Alco-Sensor. CMI - A company out of Kentucky that makes the Intoxilyzer line of breath test devices. The current device is the Intoxilyzer 8000. The next older model is the Intoxilyzer 5000, which is still used in many jurisdictions. National Patent Analytical Systems - Makers of the DataMaster line of breath test machines. These machines are not as widely used as CMI's machines, but have gained traction in several states, including Washington State. Drager - Makers of perhaps the best and most scientifically defensible breath testing machine. Currently most jurisdictions use the Intoxilizers. However, the Intoxilyzer line, and CMI in general are currently under heavy fire and criticism from the DUI defense community based on their refusal to disclose the source code that powers the machine. For this reason, many jurisdictions are currently making other plans which include switching to another type of machine or going to an all blood standard. Every state that uses EBT has a set of regulations in place which dictate how an officer should run the test, how the machine maintained, what quality assurance safeguards must be in place, and how the test result used in court. Since each state is different, check the DUI law for the state where arrested for specifics of how breathalyzer tests used.